Happy Monday! It was a beautiful weekend here in Michigan! The 50 degree temperature and sunshine had me all giddy for Spring. 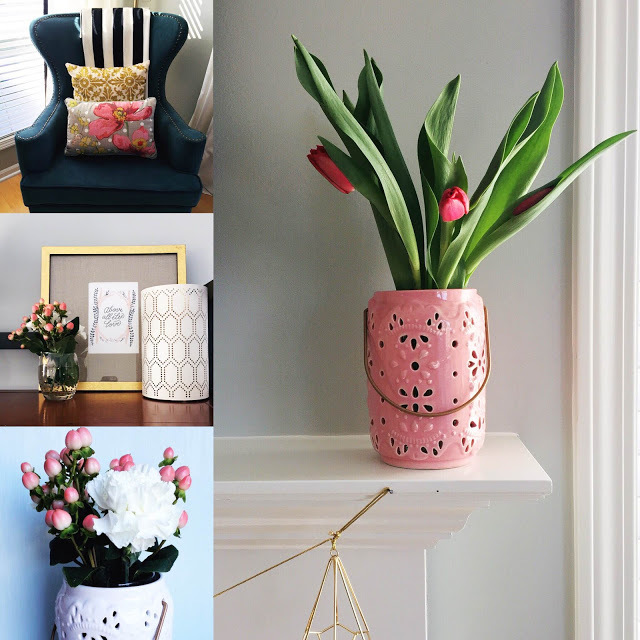 And nothing says Spring like tulips and pretty pastels. Thank you Target dollar section for those lovely ceramic lanterns turned vase. 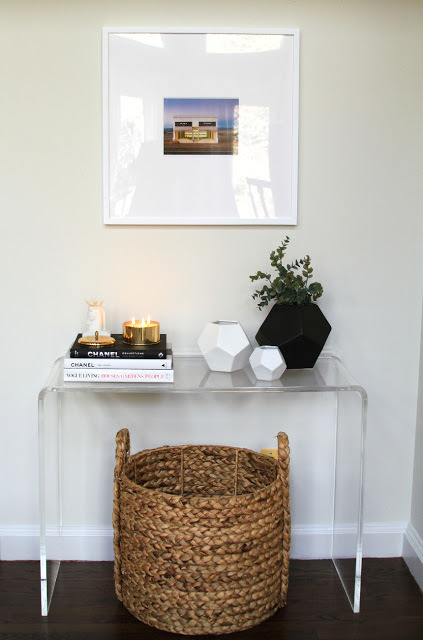 Alright, focus on the topic Colette…console tables! 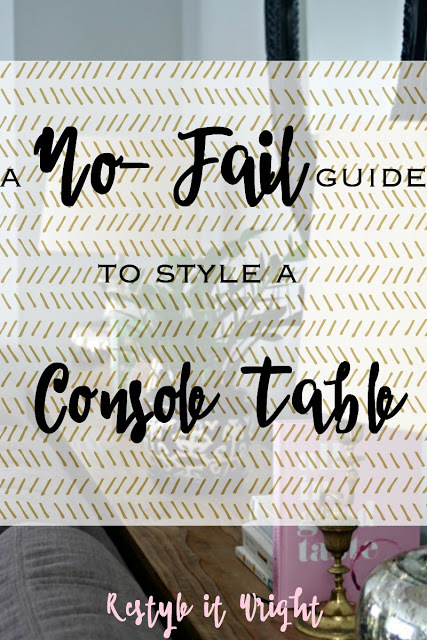 Today I want to share with you some tips on how to style a table top, specifically those versatile console tables popular in entry ways, living rooms, well…anywhere in the house really! 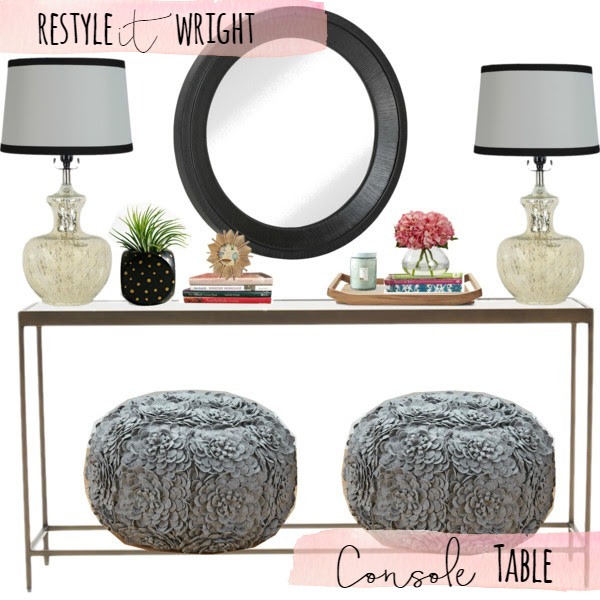 Console tables are so versatile! 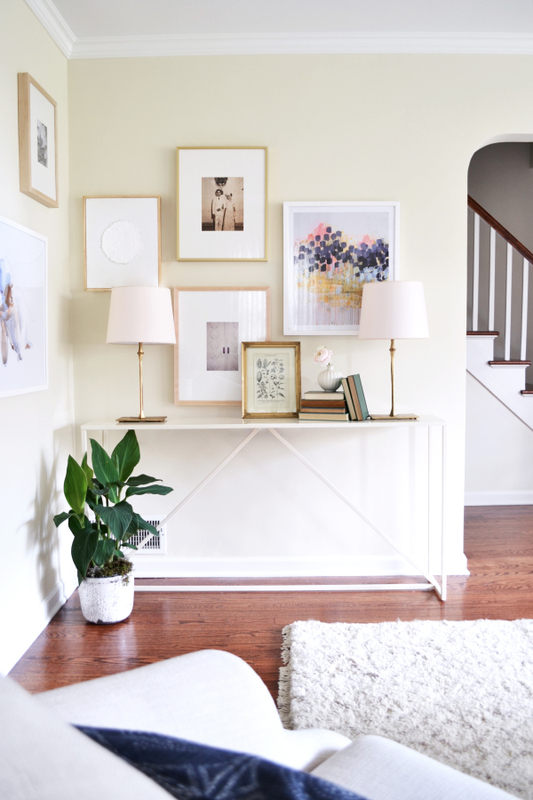 They offer a place to display frames and other collectibles in an entry way or can be placed nicely behind a sofa. They also make a great substitute for the traditional night stand. They come in about every style imaginable, from acrylic to stained wood, to bright glossy pops of color. I’ve compiled a list of go-to items I incorporate that offer a no-fail way to bring in some style and personality to these staple pieces. 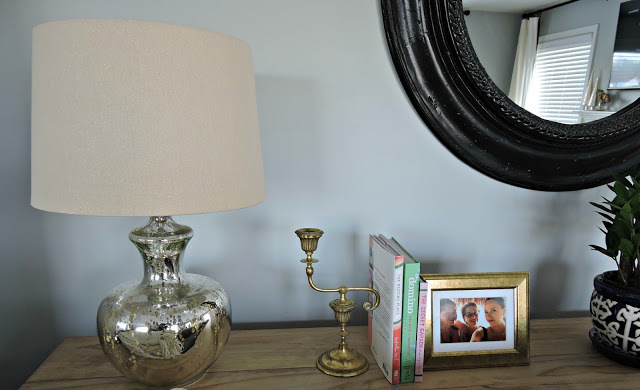 Lamps: By far one of my all time favorite accessories and a must have on a console table. In fact, I’ve been banned many a times from bringing new lamps into the house…that is until we moved and I had new rooms that clearly needed lighting. (Cue evil laugh). 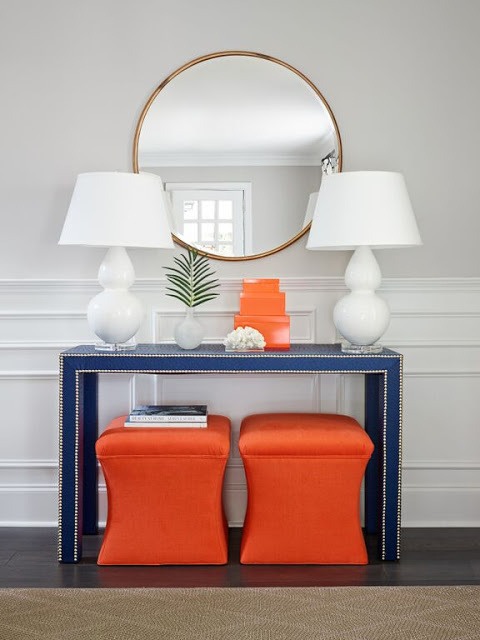 I prefer the symmetrical matchy-matchy look when there is space for two lamps on a table top, but this is totally up to your style and taste. Let your personality really shine through with this element! Books: Oh, how I love thee. Hardcover, new and old, there’s no denying books are a great decorative element. A stack of books under a vase of flowers or candle adds height and dimension. Bonus, they can be so inexpensive! Shop your local book thrift store for some great finds. Ripped or worn cover? Take the jacket off to reveal a beauty in disguise! Look for books that also fuel your interest like design, travel, language, or anything else to speaks to you. Personal Mementos/Frames: Call me sappy and sentimental, but I feel like your home should tell the story of what and who you love. I adore having framed pictures of sweet moments between my kids (very rare), family trips, and furry friends throughout the house. Placing these along the table allows you and others to reflect on these moments with each glance. 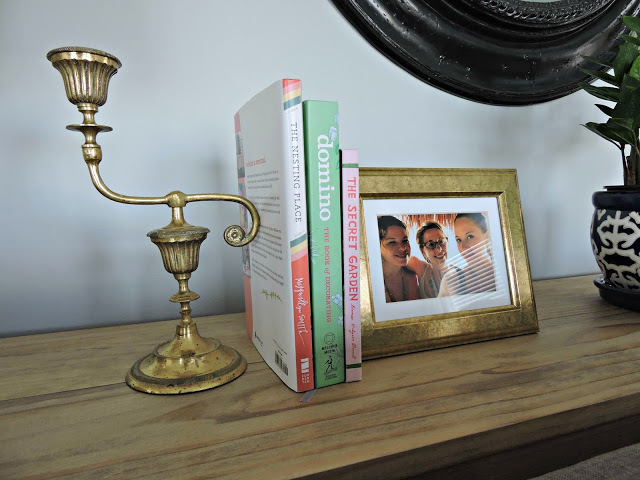 By placing snapshots in a sweet little frame it’s instant art! Have a collection of sea glass you’ve found along the beach? Display them in a glass vase and place next to your framed pic. 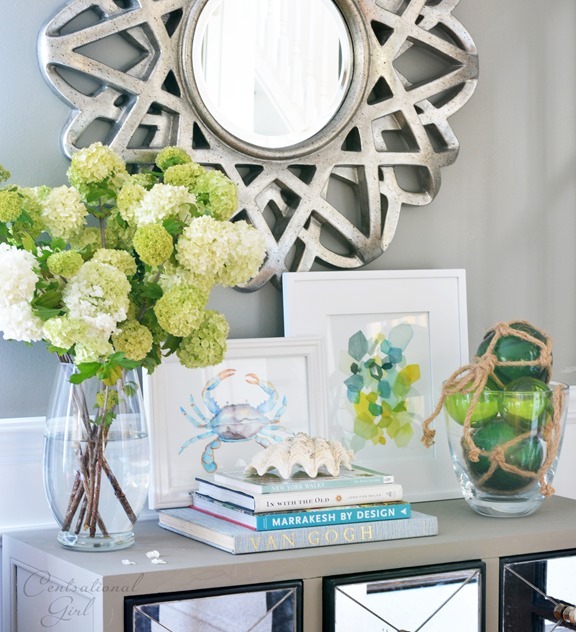 Incorporating both mementos and frames your filling your home with character and charm. 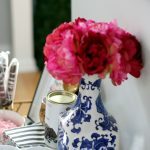 Flowers and Foliage: Nothing can brighten my day like a fresh vase of tulips or roses. 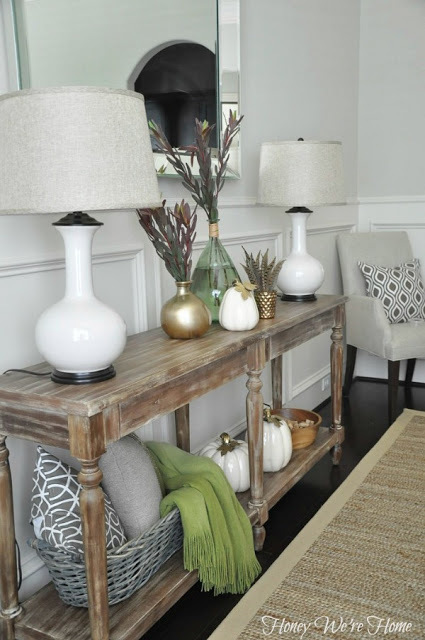 Bringing these elements into the home, and onto the console table, add an abundance of color and texture. 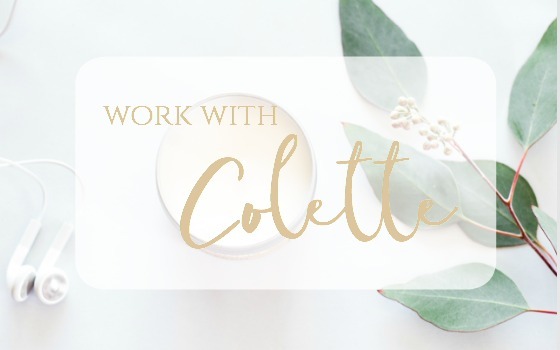 This is also a perfect way to bring some seasonal flavor to the table, like a potted poinsettia during those Winter holidays and bright yellow tulips in the spring. 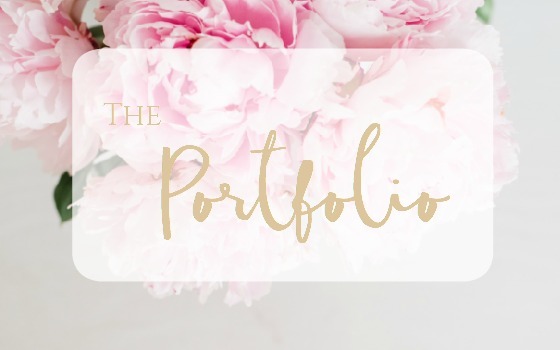 I created a mood board to show how all these elements can work together! 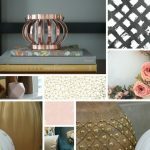 I used this mood board as inspiration before styling my own console table. Symmetric lamps, flowers and foliage, stacks of books, and a sweet little frame really make this table feel chic and styled. Start with those basic elements and build from there adding items that make your heart happy. How about those great poufs? So sweet. Our console table is behind the couch sitting oh, so pretty. It’s something we built custom to our space and needs and we heart it! What are your favorite go-to console table elements? I love all of these looks. I Look forward to the day when my kids don't destroy everything and I can have nice things like these again! Ohhhh I love all of these looks! 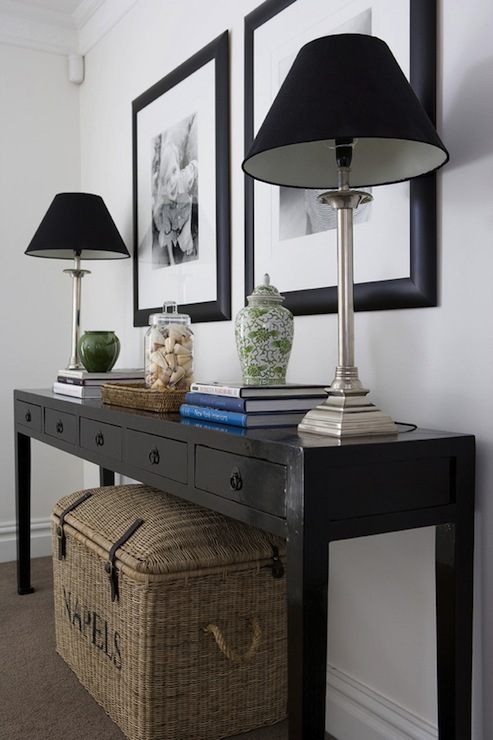 Love all the little details in your console table! Books are always an easy way to add height and interest! I have always had trouble with this. 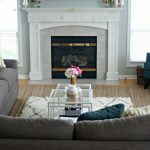 This decorating tips are practical and the photos really help. I love all the different console tablets you shared. My home is to small for one. One day I would love to have a bigger living room. To have one placed behind the couch as soon as one would walk in to the front door. I am planning on moving out of my parents house later this year! 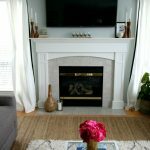 So all of these decorating tips helped a lot! thanks! All the looks are beautifully designed. I love pastel, it perfectly fit to any other strong color even black. Flowers bring serenity to entire decoration. 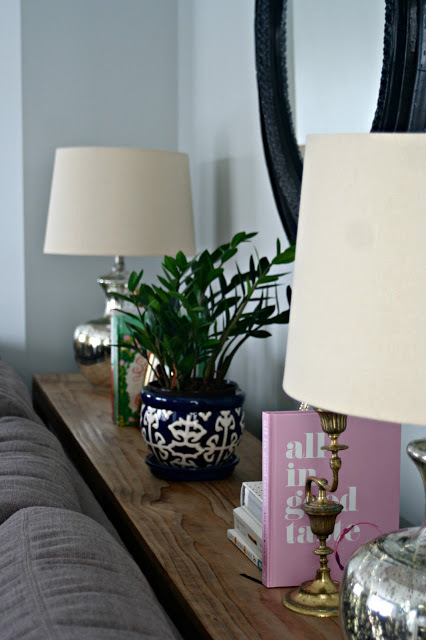 What great ideas for console tables, I love them all! I really like the idea of putting one behind the couch for more decorating space. I am bad at decorating, but I do love mirrors! A lot of mirrors! Such great ideas. Now that I have a teen, I need to put my home back together. so chic huh! Even some farmhouse style ones in there! thanks! 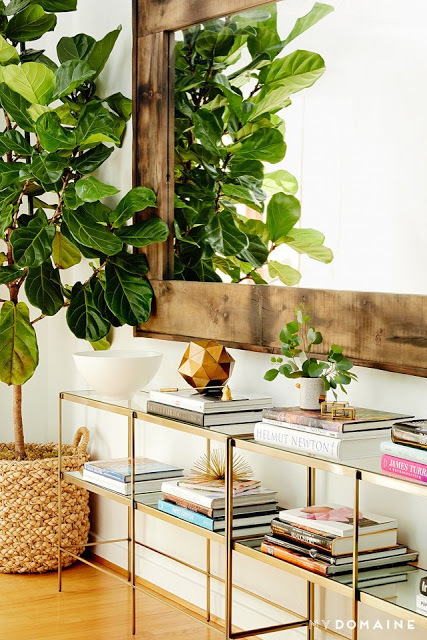 I love having books around for decor! total game changer Amanda. Go for it! oh i hear ya. Mirrors make a whole space look bigger! 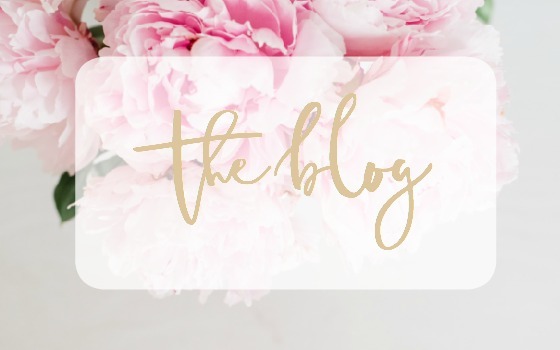 Such a pleasure seeing your lovely post with beauty and style and simplicity. Enjoyed the post with all its grandeur! So well done. I've been toying with the idea a getting a console table for behind the couch. Too bad I'm having such a hard time finding one I like. 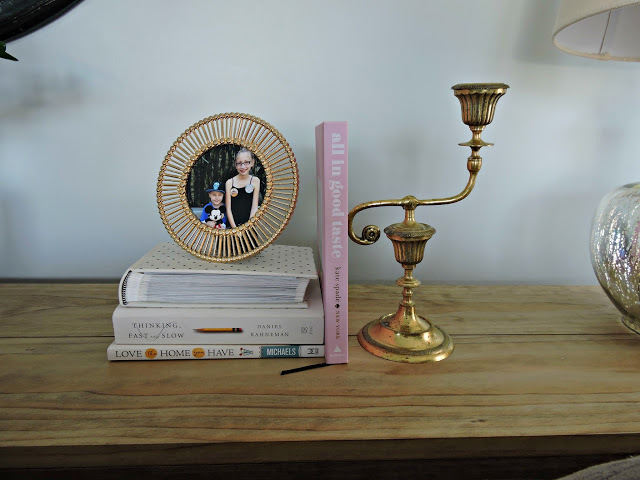 You've inspired me to restyle our console table. I'm thinking different accent colors and a mirror. Thanks! We couldn't find what we liked either so we built one! Super simple! Great ideas! Sometimes console tables can be so ordinary and boring. Love how you dress one up! I always have a scent warmer and flowers on mine and build around the season. 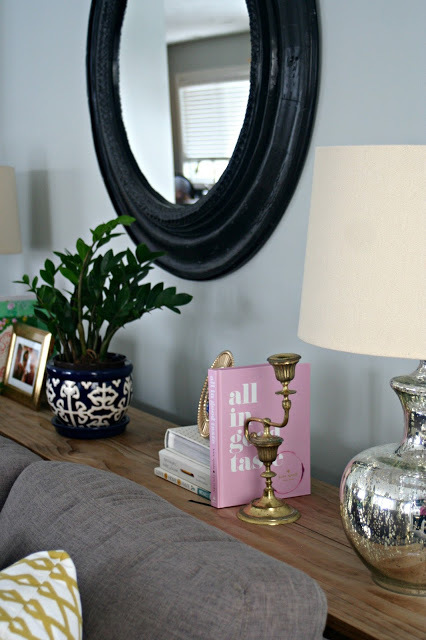 BTW I'm loving those lamp holders turn vase from Target. I wonder if I can still find them there. I usually get my home stuff at IKEA. My sister loves lamps and redecorating them to fit her house. She's come up with many creative ways to make them look retro, it's pretty neat! Beautiful! I might have to try one behind the couch, I can't seem to have anything open and available for the little hands that like to grab things in my home! I love the dollar spot too…so many awesome things! I've been meaning to buy a console table for the area under my staircase (hard to describe). I especially love the styling of the first picture. I can't believe these are Target lanterns. I totally saw them the other day/month (time flies). I would never have guessed they would look so beautiful with flowers in them! Great idea! I love them all but I think I'm leaning towards the lamps as my favorite elements. I think my entryway needs some updates! They're all great looks! And your Target lantern looks awesome as a vase. I would have never thought of that! some very pretty ideas. I don't have room for a console table in my apartment right now, but you have given me ideas for the future home I will live in. very pretty stuff. My go to are pictures. Pictures.pictures. pictures. How beautiful! I love the second blue + orange one; those colors are amazing together. I don't have a console table, but I love the one that belongs to Honey We're Home. It has a rustic look that I adore! 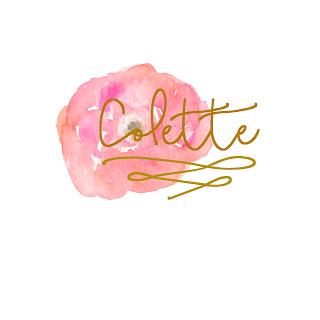 I love the flower pots/containers that you have in your top photos. With the tulips it looks so light, airy and spring like. Thanks for the inspiration! Thanks Hannah! Dollar section at Target for the win! Yes, I love her style. She has a great home! so true! Its what makes a home! Dollar section comes through again! yay! They turned out fun! 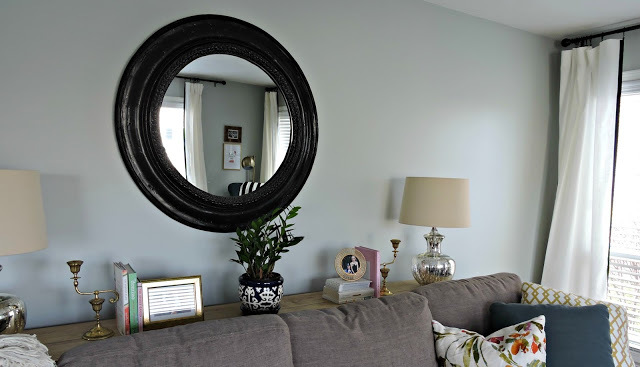 We DIY'd ours, super simple. Be on the look out for a how to! 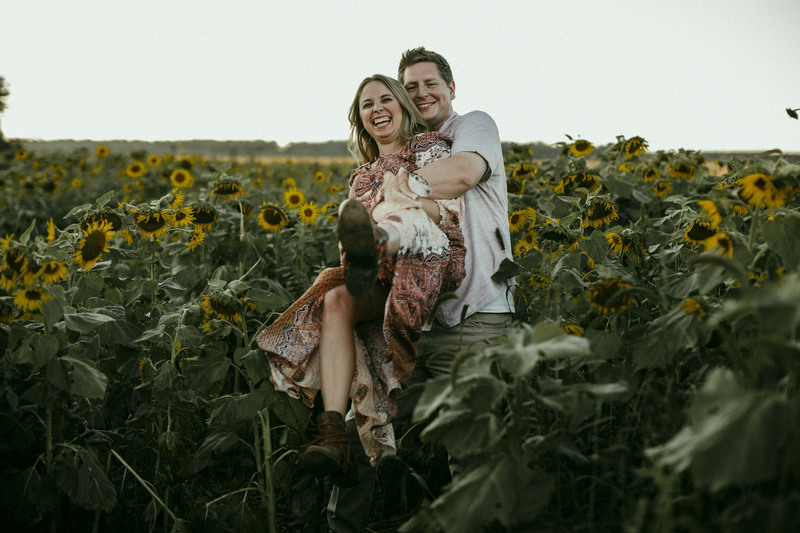 Great idea Amanda, and flowers are an awesome way to make things fresh…literally!